Sri Lanka will have to work hard to reap full benefits of the GSP+ concession that was re awarded by the European Union to Sri Lanka. Speaking to Daily News Business former President of the International Chamber of Commerce, Tissa Jayaweera said that its sad to note that although the GSP+ plus concession is extended to 1,600 export products Sri Lankan only exports 12 products in the area of apparel, fish, rubber, coconut, tires, cinnamon and few other products. “The EU bound export basket must increase soon to exploit the benefits of GSP+,” he cautioned. Sri Lanka is a lower middle-income country with a per capita income of USD 3,924 in 2015. Jayaweera said that when Sri Lanka moves to an upper middle income level country in less than two years it would lose the GSP+ and hence the country should act fast. He also said that GSP+ would not have a monetary gain to Sri Lanka exports but the orders would increase since the removal of duty would help to increase Sri Lanka’s competitiveness. GSP+ concessions were initially granted to Sri Lanka in 2005, after the tsunami. However, in 2010, the EU withdrew Sri Lanka’s preferential access under GSP+ to the European market due to the government’s failures in adhering to human rights standards set under the provisions of the scheme. Between 2005 and 2010, under GSP+ access, Sri Lankan exports to the EU grew on average by 7.96%, notably amid a decline in consumer demand in Europe due to the financial crisis during 2009 and 2010. Contrastingly, during the 2010-15 period, Sri Lankan exports to the EU grew by a mere 1.02%. Meanwhile Trade Commissioner Cecilia Malmström recently in Colombo said granting GSP+ to Sri Lanka aims to provide the opportunity to develop further economically, including creating more and better jobs for all Sri Lankans, on a sound foundation that advances human and labour rights, and in a manner that is environmentally sustainable. “It is also a vote of confidence from the European Union that the Sri Lankan Government will maintain the progress it has made in implementing the international conventions,” she said. Deputy Foreign Minister Dr. Harsha de Silva said that from tomorrow, apparel importers from EU buying products from Sri Lanka will enjoy an exemption of 9.6 % duty on apparel, fisheries importers 18% of duty, coconut 14% and many such advantages. This also fulfills another election pledge made by the government and there will be a US$ 400 million benefit and the government can generate 20,000 new jobs,” Dr. de Silva added. The EU is expected to publish the restoration of trade benefits today. Niranjan de S Deva Aditya, the European Parliament Member and Senior Advisor to Prime Minister Ranil Wickramasinghe said that regaining GSP+ would help to generate 100,000 new jobs and 500,000 associated jobs. 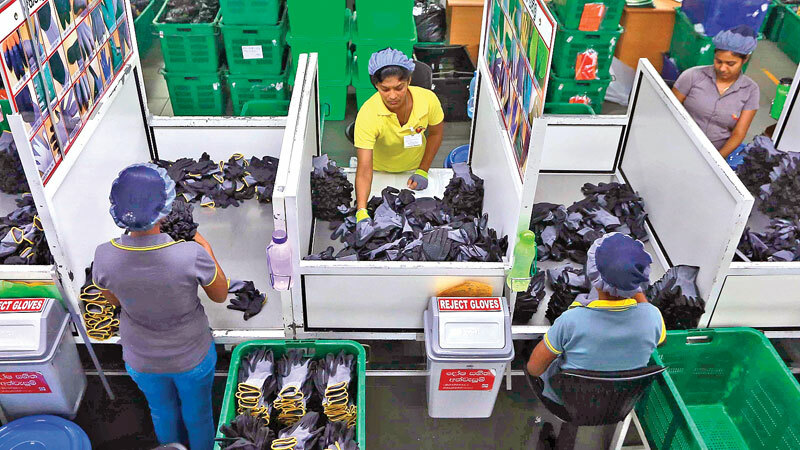 It will also be bringing export earnings up by over 2 billion dollars per year to the Sri Lankan economy if the business community and investors grasp the challenge and set up to fulfil their part in creating wealth for the masses. “Now the challenge is to use this opportunity to access the largest market in the world which the EU is, without barriers experienced by our neighbours and promote investors from the whole of Asia to use Sri Lanka and her skilled and educated labour to export to Europe.We need to launch a massive inward investment programme that brings in billions of dollars of Foreign Direct Investment which will increase our manufacturing, agricultural, horticultural and service exports to Europe,” he added.